NoteBowl is an alternative discussion board tool with advanced features and a more intuitive user interface. 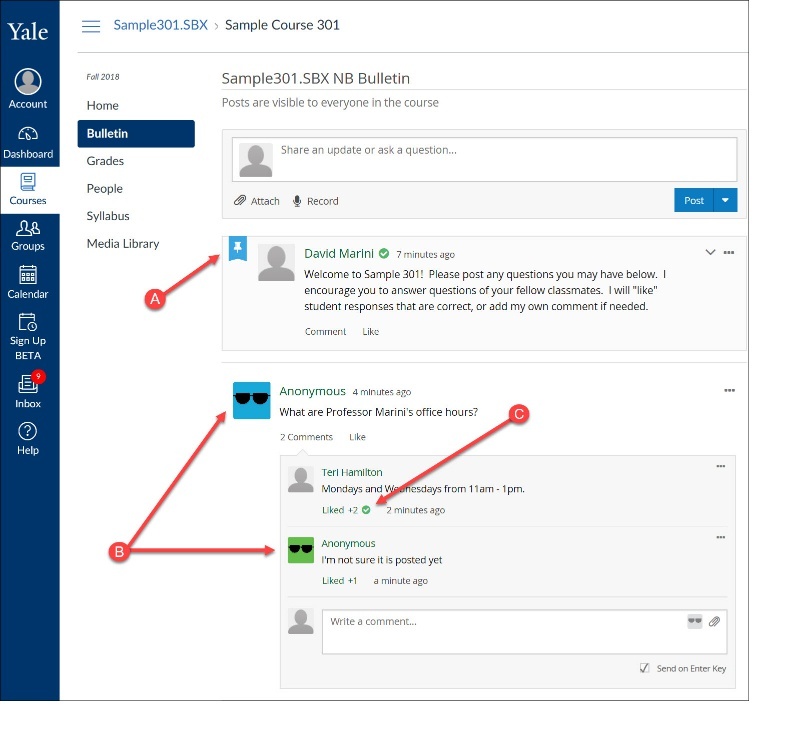 NoteBowl provides the ability for instructors to create graded and ungraded course discussions where students can post text or audio comments asynchronously. For more information about this tool, please visit the NoteBowl website and help articles. 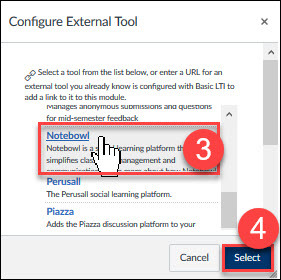 The NoteBowl "Bulletin" tool is a space where course members can converse. It can be similar to a water cooler conversation - or it can be used as a coordinated place where students can ask questions and other course members (instructors, teaching fellows, or other students) can reply. Once in your course, click on the "Settings" tool . On the "Settings" page, click the tab for "Navigation" . The upper portion of the page displays items that appear in the course navigation menu. The lower portion of the page displays the tools that have been hidden from student view. Find the "Bulletin" item in the lower portion of the page and drag it to the upper portion. .
Go to the bottom of the page and click the "Save" button . The "Bulletin" tool will now appear in your course navigation menu. 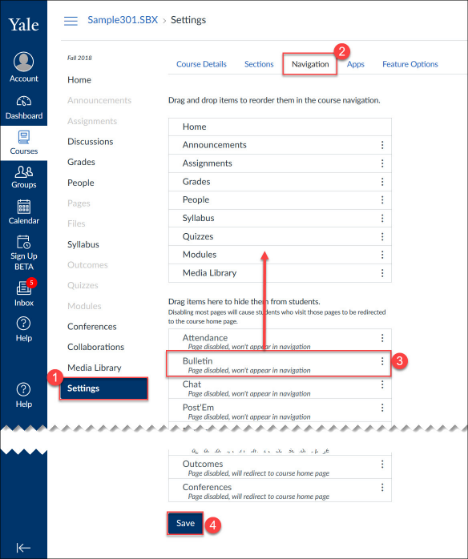 Go to the "Bulletin" tool in your course. In the box provided , enter your text. If desired, you can add an attachment or a recording to your post by clicking on the appropriate button just below the text box . Post as yourself - with your name displayed. Post as anonymous - with your name hidden from everyone except for the instructor. Coming in January Post as totally anonymous - with your name hidden from everyone. When you are done with your post, click the "Post" button . As you look through the posts in the Bulletin, you can click the "Comment" button on a post  to reply to it. Posting a comment is very similar to creating a post. If you read a post or a reply that you agree with or find interesting, you can click the "Like" button . 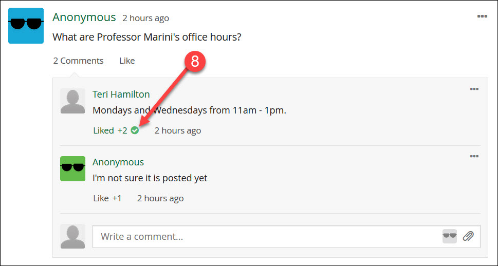 Posts/Comments that are liked by an instructor will have a green check mark next to the "Like" button . 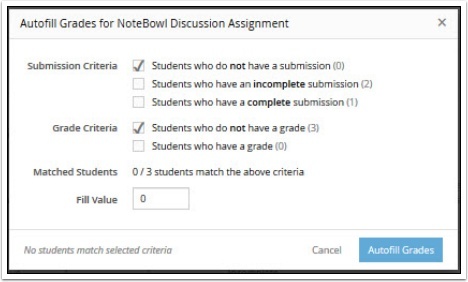 NoteBowl Discussion Assignments allow instructors to create asynchronous graded (or ungraded) focused discussions. 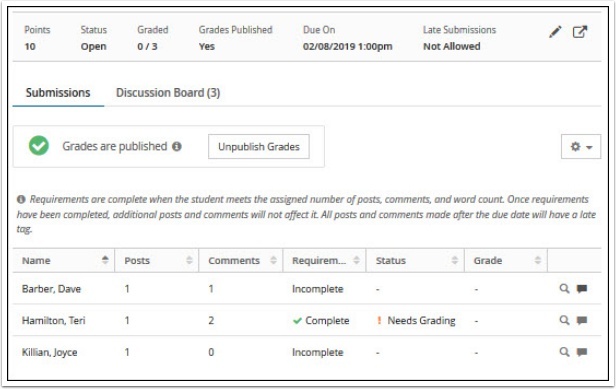 Unlike the Bulletin tool, NoteBowl Discussion Assignments can be tied to a column in the Canvas "Grades" area and can also be date/time restricted. 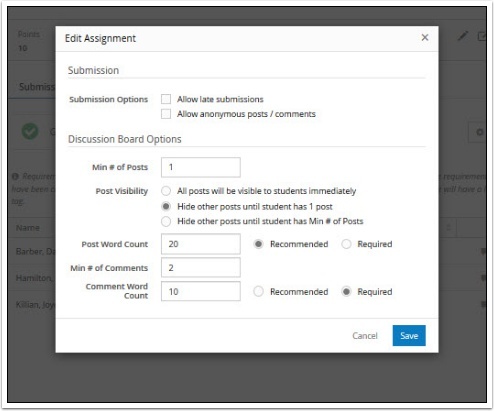 A submission overview - showing how many posts/comments a student has completed. Indicators to show whether or not the student has completed the preset requirements for the assignment. Ability to quickly jump to the posts/comments for a student. Ability to add comments back to a student that are not visible in the discussion assignment. 1. In your course, click on the "Assignments" tool. 2. Click the "+ Assignment" button. 3. Set up your assignment with a Title, Instructions (if desired), and points (if desired). 4. 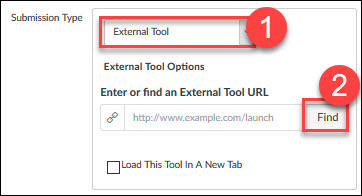 Under the "Submission Type" section, select "External Tool" from the drop down menu . 5. Now, click the "Find" button . 6. In the pop-up, locate and click on "NoteBowl"  and then click the "Select" button . 7. Complete the process of creating your assignment.